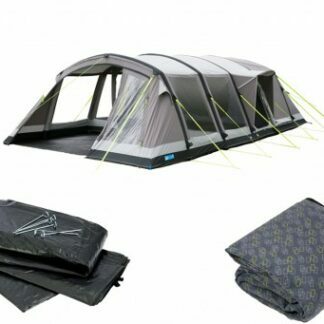 The Vango Anantara Air TC 600XL offers you one of the largest tents on the market that is made from a polycotton material that will last you longer than the standard polyester tent. 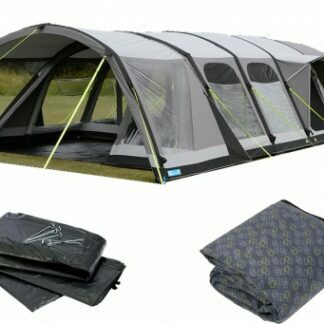 This spacious inflatable tent will make you the envy of the campsite and the polycotton fabric is both breathability and robust enough to stand up to any weather. 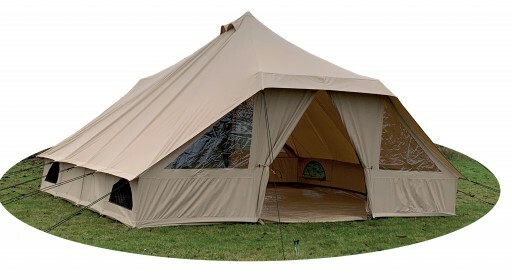 The bedrooms are wider and longer making them perfect for anyone who uses a camp bed. 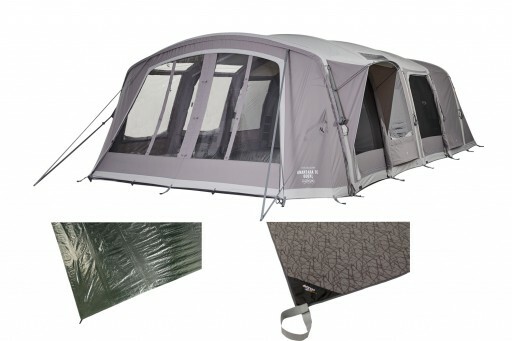 Once it is set up you can sit back, relax and enjoy your holiday. 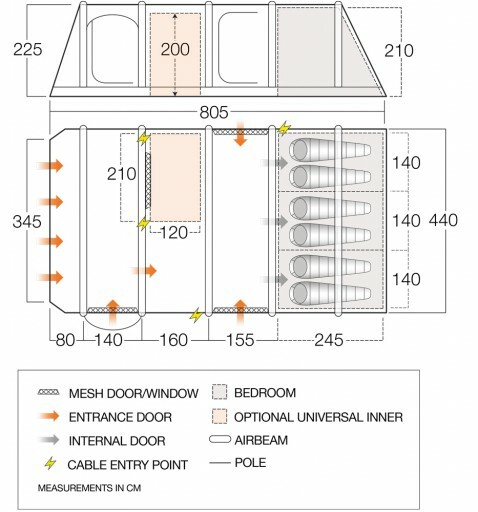 The Anantara Air TC package comes with the Tahiti/Anantara Carpet and the Tahiti/Anantara Footprint. 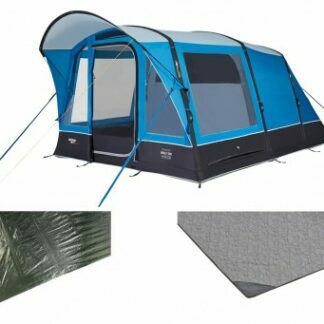 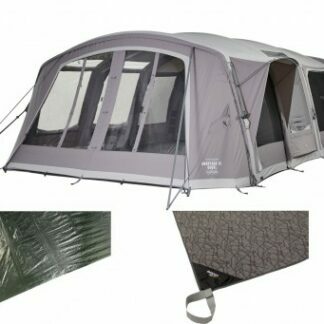 The bundle offers you the two main accessories for your tent at a reduced price making your tent easier to set up and more homely inside.